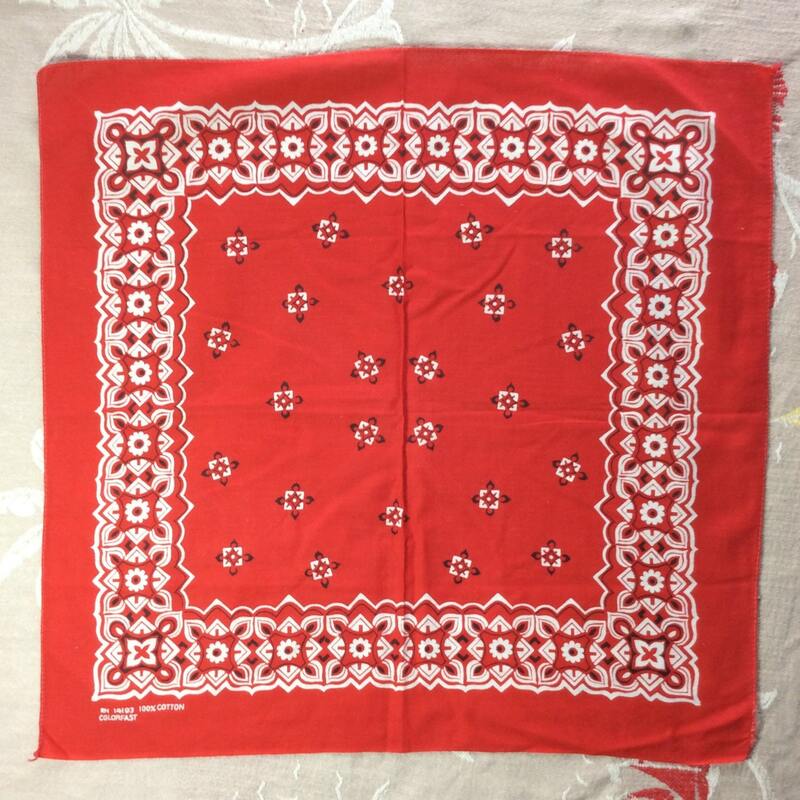 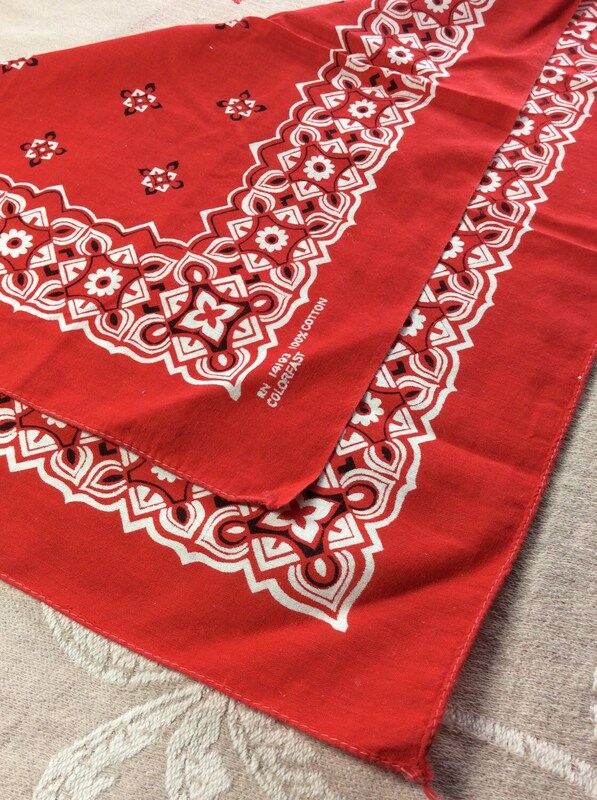 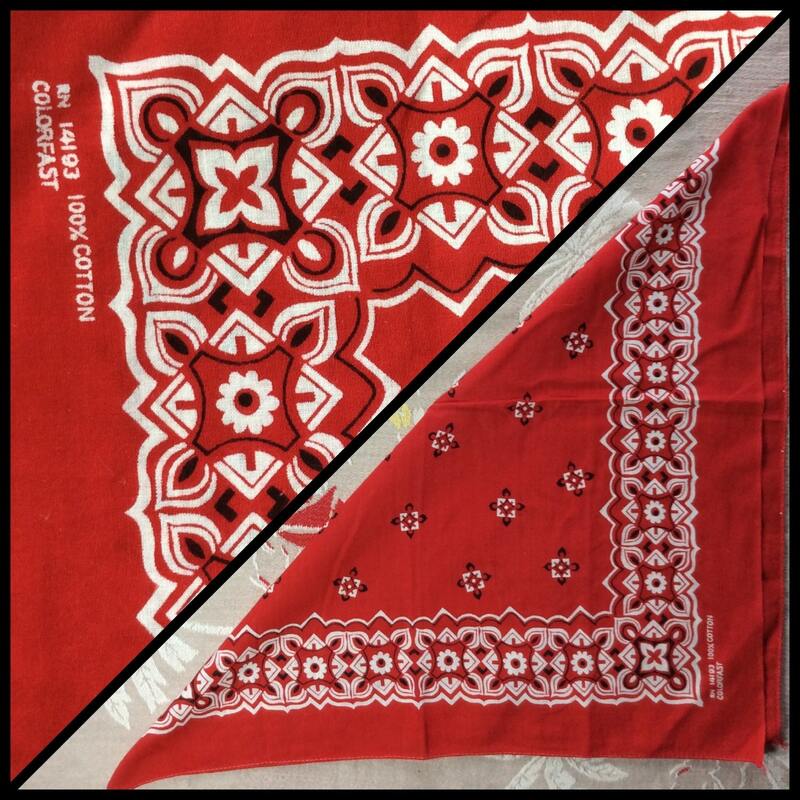 Here's a red colorfast bandana from the 1960's. 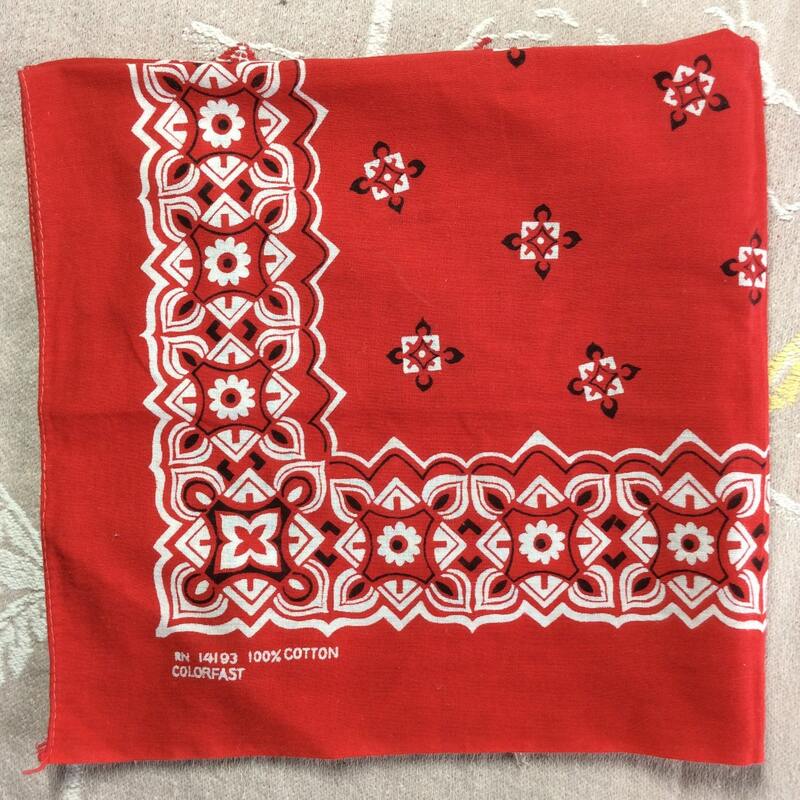 It's soft 100% cotton. 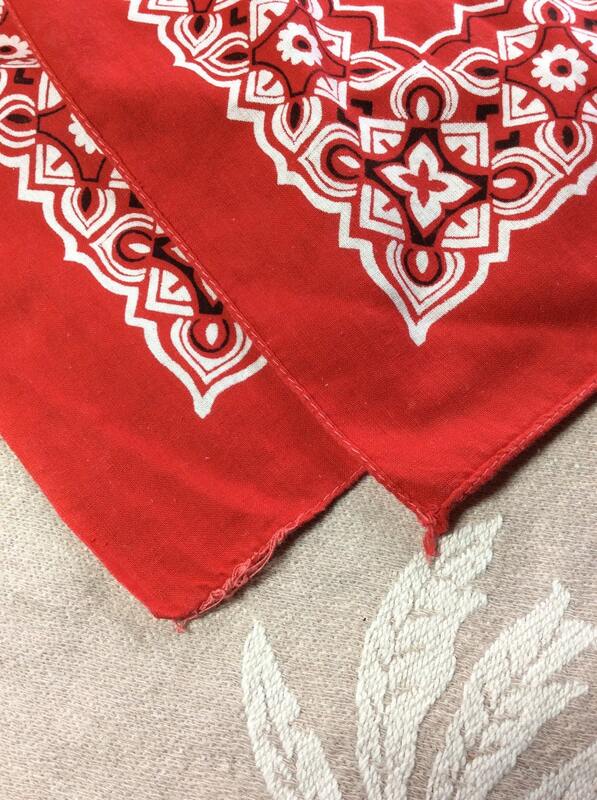 There's slight fray in one corner, otherwise it's in excellent, barely used condition, no damage.